Bitcoin and its peers didn’t finish on such a strong note for the previous quarter, but a fresh start seems to have brought bulls back to life. Are we about to see reversals yet? Bitcoin bulls could be back in town as price recently broke past a short-term falling trend line and the neckline of a tiny double bottom pattern. This was pretty good timing as bitcoin was also coming off a bounce from the descending channel support on the 4-hour chart. However, sellers could be merely waiting to hop in at the nearby resistance areas, particularly at any of the Fib retracement levels. The 61.8% correction level is right smack in line with the top of the channel just slightly past the $8000 major psychological mark, which might be where bears are hanging out. Stochastic is already indicating overbought conditions to signal that buyers are getting tired. Ethereum also looks ready for some upside as price also surged past a descending trend line visible on its 1-hour time frame. And unless my groovy shades are deceiving me, ether has also formed a small double bottom and broken above the neckline to signal that bulls have the upper hand. A quick pullback to the broken resistance levels might be in the cards, though, as stochastic is hovering around overbought territory and could be due to head south anytime soon. Litecoin has been on an impressive run so far this month as it found support at the bottom of its ascending channel then zoomed straight past the mid-channel area of interest. 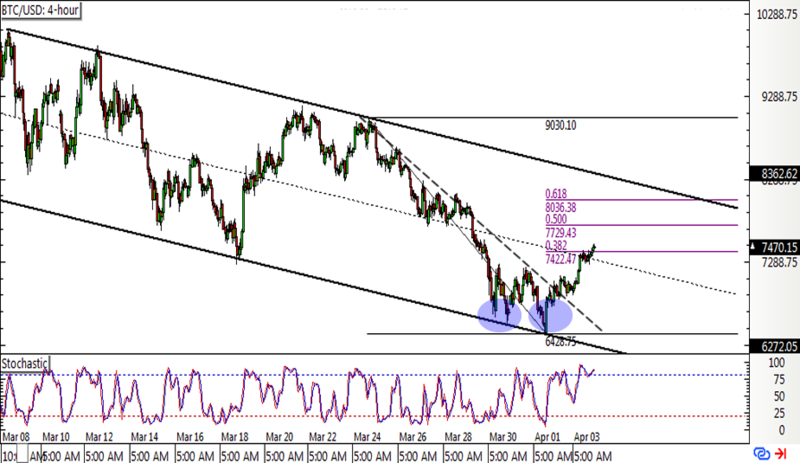 Price is currently testing the 38.2% retracement level on the longer-term slide while stochastic indicates overbought conditions. If this level or any of the Fibs are able to keep gains in check, litecoin could tumble back to the swing low or the channel support. 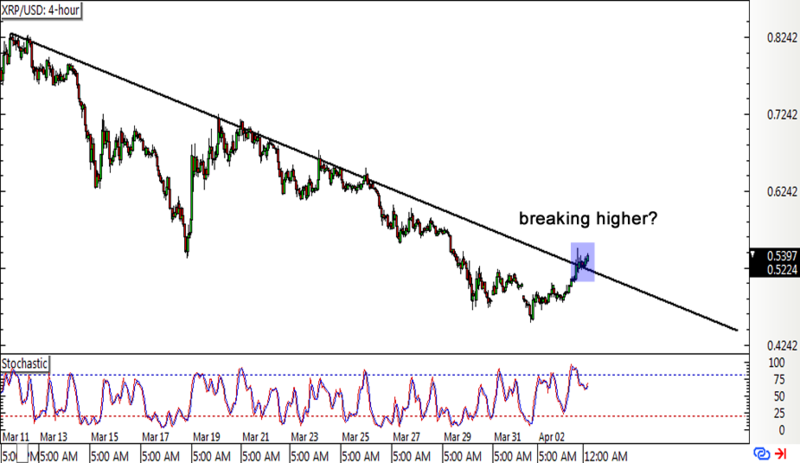 Ripple is also showing some bullish momentum as it closed above the falling trend line on the 4-hour chart. 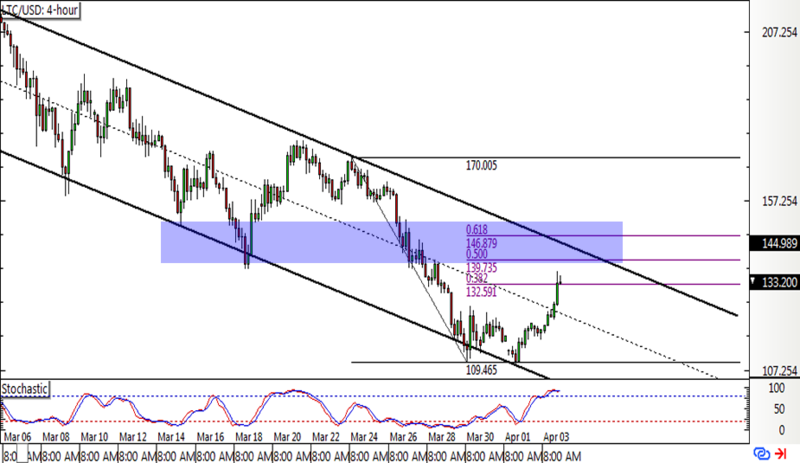 If the rally continues, price could make its way to the next area of interest at 0.6000. 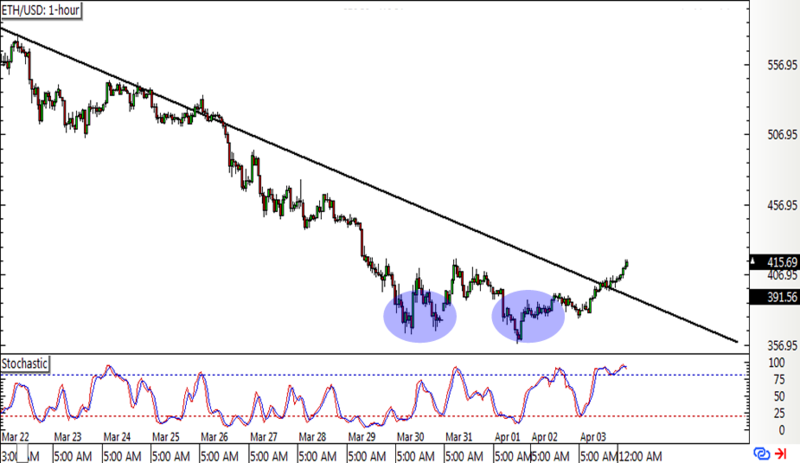 Stochastic is already turning lower, which means that sellers have the upper hand at this point. If price falls back below the trend line, this would indicate that the latest move is a fake out and that the downtrend could still resume from here. A bit of fair warning, though. There is a considerable amount of risk in trading cryptocurrencies due to their inherent volatility and sensitivity to headlines. Be careful out there!